REDUCED PRICE EXPIRES ON 4/15. CASH ONLY, QUICK SALE/CLOSE, PRICED TO SELL NO ROOM FOR NEGOCIATING. BUYER PAYS TITLE.BUILD IN THIS HIGHLY SOUGHT AFTER & CONTINUOULSY GROWING AREA OF PSL. PROPERTY IS SITUATED ON THE CORNER OF EAGLE WITH LIMITED THRU TRAFFIC ACROSS FROM A LARGE POND. 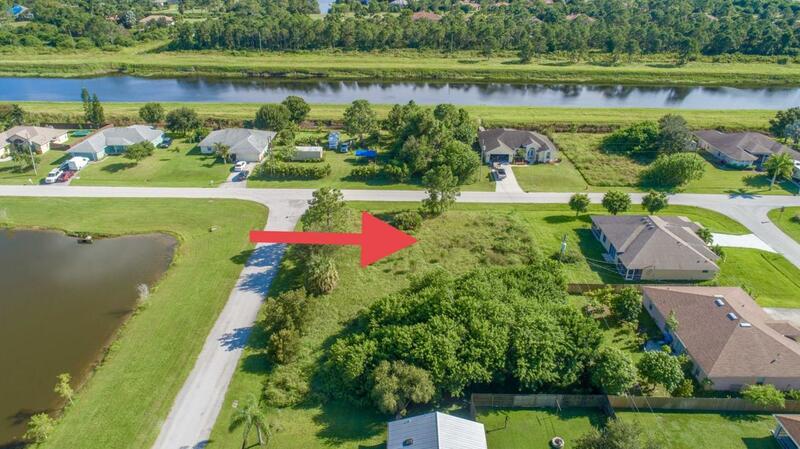 LOT OFFERS PRIVACY, HIGH ELEVATION & NEIGHBORS OTHER NEW CONSTRUCTION.LOOKING FOR AN OVERSIZED LOT WITH WATERVIEWS IN A METICULOUSLY MAINTAINED NEIGHBORHOOD WITH ALL THE AMENTITIES OF TRADITION, NO HOA EXPENSE & COMMUTING EASE VIA I95 OR THE TURNPIKE? SEIZE THE OPPORTUNITY, THIS PROPERTY WILL NOT LAST! !